Mother's Day Card Kids Can Make - So Festive! 1. Snap a picture of your kids making a fist. 2. 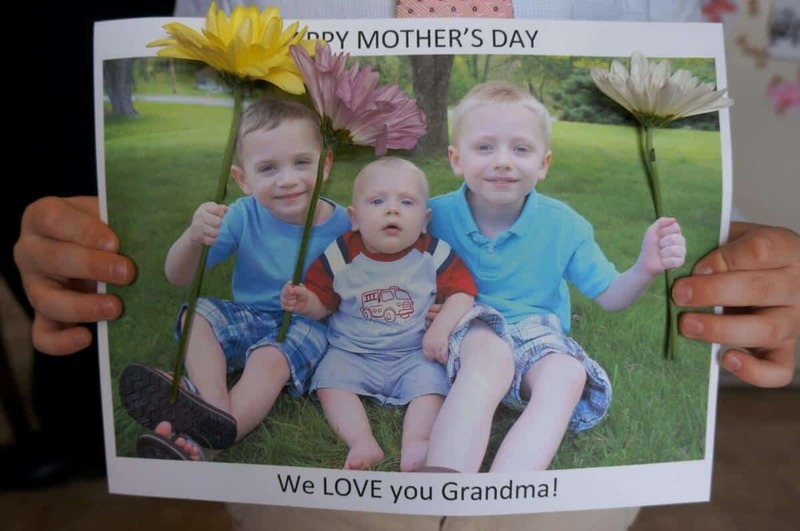 Print the photo out on 8 1/2 x 11 card stock so that proportionately it’s big enough to hold the flowers. 3. With an exacto knife cut slits on both sides of their hands. 4. Pick up a bunch of flowers(something small works best, I used daisies) and cut one flower for each hand. And that’s it. You’ve got a week left to whip this up, so get to work. I promise they’ll love it!